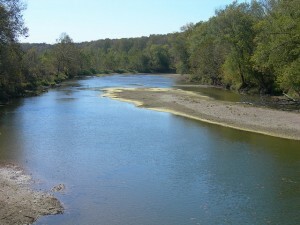 Indiana’s most polluted rivers and lakes suffer from toxins, pathogens and too much algae. Add public shame to that list. The Environmental Law and Policy Center calls out Indiana’s dirtiest rivers and lakes on their new website, INourwater. The site highlights four areas with polluted water and two areas where conservation efforts fostered cleaner water. The Environmental Law & Policy Center is an environmental legal advocacy organization based in Chicago. Individual stories put a human spin on water issues; highlighting the economic and personal benefits of clean water, and the hardships stemming from polluted water. It’s not just polluted lakes and rivers — the center is calling out officials in charge of keeping Indiana’s water clean. Weak state policies and lax law enforcement have caused the fouling of this water, according to the center. Each story — whether it’s a dirty or clean one — tells residents how to get involved in promoting and conserving cleaner water. Indiana residents can visit the site to tell their water pollution stories as well. So visit the site and tell your story, or just gawk at the troubled lakes and rivers on display.